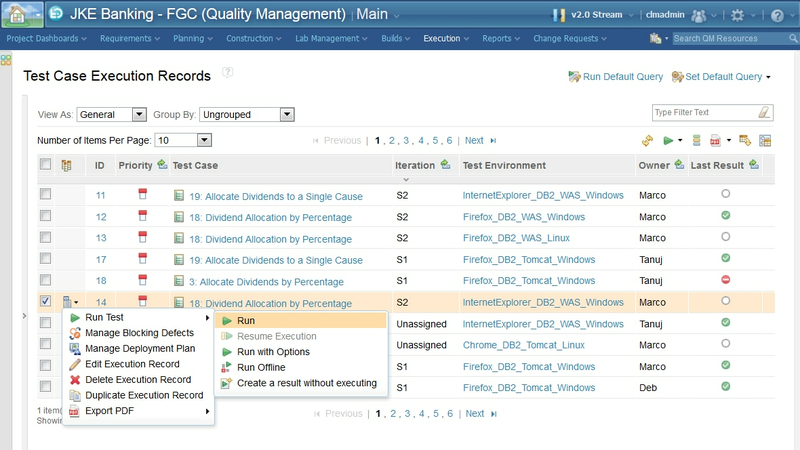 IBM® Rational Quality Manager™ is a collaborative, web-based, quality management solution that offers comprehensive test planning and test asset management from requirements to defects. Built on the Jazz platform, it enables teams to seamlessly share information. It uses automation to speed project schedules and report on metrics for informed release decisions. It can also be purchased as part of the Collaborative Lifecycle Management solution – a set of seamlessly integrated tools: IBM Rational Team Concert, IBM Rational Quality Manager and IBM Rational DOORS Next Generation.